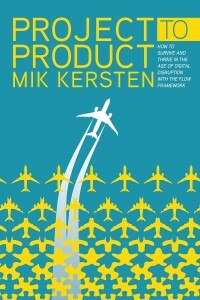 Sign up below to get special offers and news related to Mik Kersten's book and speaking engagements, including a weekly blog series and monthly newsletters. I want to receive other news and educational content from Tasktop including invitations to webinars and industry events. I know they’ll respect my inbox and my privacy and I can update my preferences at any time. The Project to Product Newsletter and Blog Series are managed by Tasktop Technologies on behalf of Dr. Mik Kersten.